The religion of the Bible is emphatically monotheistic. But no culture exists in isolation, and the ancient Hebrews and early Christians rubbed shoulders with other civilizations that were less frugal in their choice of deities. The New Testament, written in the early days of the Roman Empire, makes several references to well-known gods and goddesses of the then-thriving European pagan tradition -- such as Jupiter/Zeus, Mercury/Hermes and Diana/Artemis. In contrast, the pagan deities of the Old Testament are far less familiar, coming as they do from long-dead civilizations. Perhaps the most famous of them is Dagon, if only because H. P. Lovecraft invented a modern-day "Esoteric Order of Dagon" in The Shadow over Innsmouth. In the Bible, Dagon is the chief god of the Philistines -- who are the arch-enemies of the Israelites in several Old Testament books. 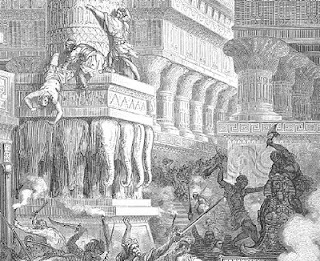 In chapter 5 of the first book of Samuel, the Philistines capture the Ark of the Covenant and place it inside the Temple of Dagon at Ashdod... where the Ark proceeds to wreak havoc on Dagon's statue! 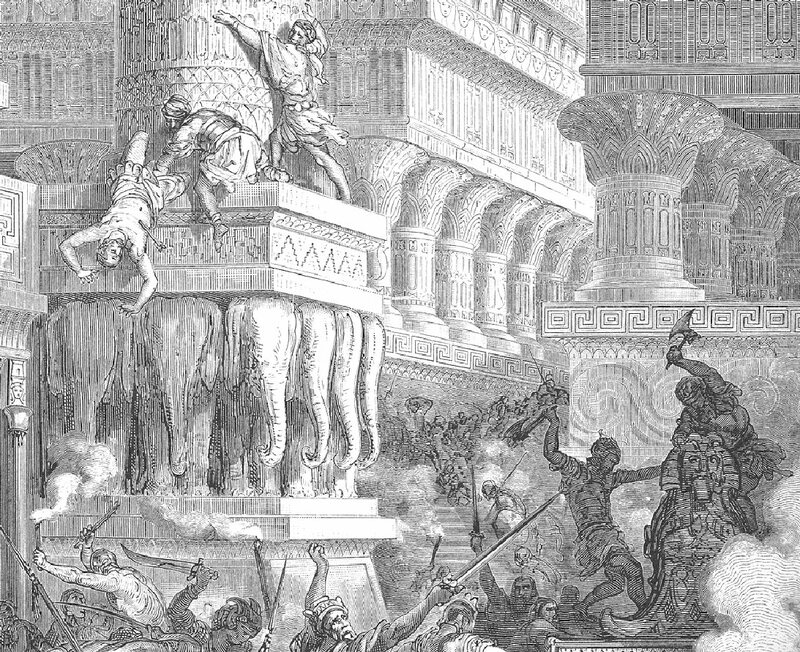 Many centuries later, the same Temple of Dagon was finally destroyed in chapter 10 of the first book of Maccabees (as depicted in the accompanying detail from an engraving by Gustave Doré). 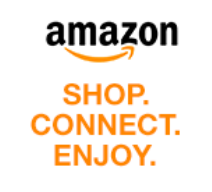 "Dagon" was also the name of an Assyrian god, who may or may not have been connected with the Philistine god of the same name. The Assyrian Dagon had the head of a fish... which is probably where HPL got his inspiration for the denizens of Innsmouth! This version of Dagon is closely related to another Assyrian deity, Nisroch, who is depicted with the head of an eagle. Nisroch is mentioned in the Bible, in the context of the assassination of the Assyrian king Sennacherib (a historically documented event that occurred in 681 BC). According to 2 Kings 19, the assassination took place while Sennacherib was praying to the god Nisroch. Of all the references to pagan gods in the Bible, by far the most frequently mentioned is Baal -- which was probably just a generic word for "pagan god" (the name sometimes appears in the plural, Baalim). But the record for the most gods in one place goes to verses 30 and 31 of 2 Kings 17: Succoth-benoth, Nergal, Ashima, Nibhaz, Tartak, Adrammelech and Anammelech. These deities come from a variety of different cultures, all of which were forcibly resettled by the Assyrians in Northern Israel during the late 8th century BC. While most of the "false" gods and goddesses mentioned in the Bible were associated with outsiders, some of them were worshipped by the Hebrews themselves. King Solomon is reported to have placed idols of Ashtoreth, Chemosh, Milcom and Molech in the temple at Jerusalem (1 Kings 11), where they remained for centuries until they were destroyed by King Josiah (2 Kings 23). The names of many of the Bible's pagan deities -- such as Baal, Dagon, Ashtoreth, Nisroch, Molech, Chemosh, Nergal and Adrammelech -- were appropriated by mediaeval occultists as the names of demons, and they regularly feature in "demonologies" of the period. More surprisingly, many of the names also turn up as "fallen angels" in Paradise Lost, by the Puritan poet John Milton. The English Puritans hated idolatry (and they destroyed countless works of art to prove it), so one might expect them to dismiss the objects of idolatry as fictitious deities existing only in the minds of their misguided worshippers. Instead, Milton chose to give them validity by suggesting they have a solid existence... albeit as Lords of Hell!